Thirty years ago, we were celebrating the opening of the ʻAha Pūnana Leo. Since then we’ve seen much success in the Hawaiian language revitalization movement, especially today. SB 1235 was introduced and passed through its first committee. 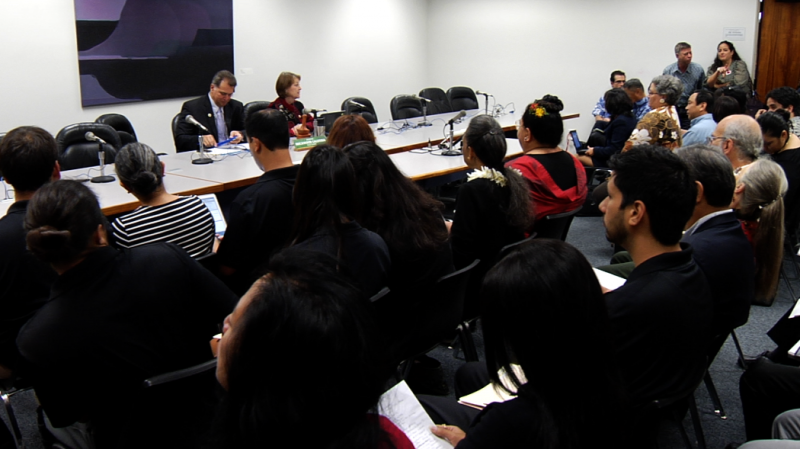 The bill would provide public funding to Hawaiian language television. “We feel that this bill is very important in that it seeks financial support from the government to support our ʻōlelo Hawaiʻi in media,” says Amy Kalili, who is the Executive Director of Makauila, Inc.
“First, mahalo to the Chair and this committee and to everybody who testified, even though it was in opposition to the bill, but most of the people here in this room had acknowledged the importance of what we do,” testifies Keoni Lee, who is the General Manager of ʻŌiwi TV. “What it does is it splits the baby. 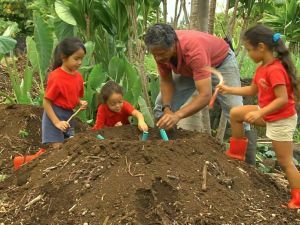 It takes the money that goes to these valuable resources, and tries to split it up to all these other resources that have nothing to do with the original intent of what this money came from to begin with,” says Jay April, who is President and CEO of Akakū Maui Community Television. 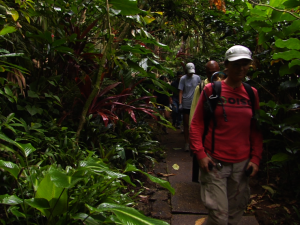 “The decreased funding we would have would eliminate our operations- it would eliminate both public access as well as anything that the government does,” says Jay Robertson, who is managing director and head of Hōʻike Kauaʻi Community Television. Although this idea of a partnership was greatly appreciated, it just isn’t enough to reach the end goal. 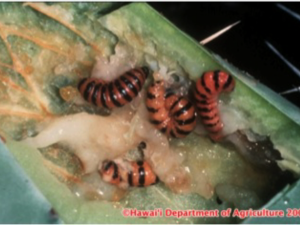 E ola mau ka ʻōlelo Hawaiʻi. The Hawaiian language shall live on.